* Vehicle based breakdown Cover, Roadside & Recovery. Your membership will automatically renew each year on a continuous basic using the payment details you gave us when activating your cover. 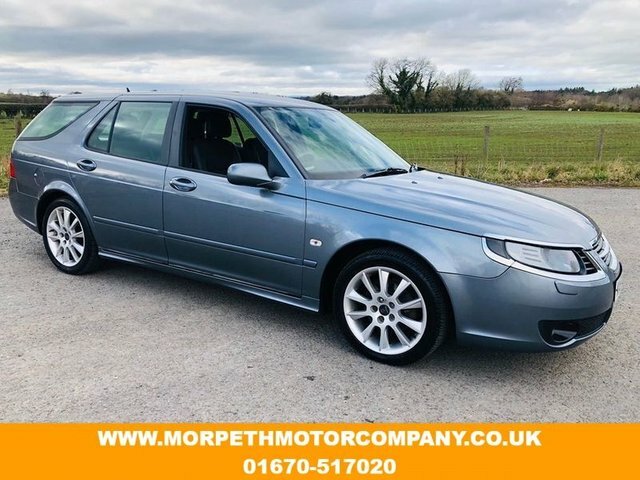 Morpeth Motor Company is a leading supplier of quality pre-owned vehicles, and if you're looking for an affordable used Saab for sale in Morpeth, our team is here to help. The Swedish carmaker won an enviable reputation for producing strong, reliable cars and you can buy in total confidence when you come to Morpeth Motor Company. All of our pre-owned vehicles go through a stringent testing process before arriving on the forecourt, ensuring peace of mind for all of our customers. Why not browse the latest range of used Saab models for sale here on the website, before getting in contact with a member of the team to discuss your requirements in more detail. Finance is available to UK residents aged 18 years or older, subject to status. Terms & Conditions apply. Indemnities may be required. Other finance offers may be available but cannot be used in conjunction with this offer. We work with a number of carefully selected credit providers who may be able to offer you finance for your purchase, commission may be received. We are only able to offer finance products from these providers. Postal Address: Morpeth Motor Company, Coopies Way, Coopies Lane Industrial Estate, Morpeth, Northumberland NE61 6JN. Find contact details here. Morpeth Motor Company is authorised and regulated by the Financial Conduct Authority, FRN: 630698. All finance is subject to status and income. Written Quotation on request. We act as a credit broker not a lender. We work with a number of carefully selected credit providers who may be able to offer you finance for your purchase. We are only able to offer finance products from these providers.